Make a simple but luxuriously fun felted wool scarf from re-purposed wool sweaters that you will “felt” before coming to class then cut and assemble during the class time. This begins our twice monthly Felted Fridays Series that will feature a new felted craft in each session throughout the fall. Come join in this fun and productive ongoing series of fitting basics which include fitting commercial patterns according to your specific measurements, fitting help with your current sewing projects and fitting help and instructions on the best ways to alter your ready to wear garments. The first rule of Fit Club: Bring something to fit! The trickiest part of being introduced to tailored projects is the puzzling world of welts. (The bound buttonhole is a variation on the welt) Once you have mastered these fundamental tailoring skills, future tailoring projects will make more sense and will be less intimidating! There are a few tricks that will help you handle these projects with confidence. Make these wildly popular baby basics for the little bambino in your life. Make these fun baby basics from re-purposed wool sweaters that you will “felt” before coming to class then cut and assemble during the class time. This begins our twice monthly Felted Fridays Series that will feature a new felted craft in each session throughout the fall. This class is for people who understand the basic use of their sewing machine who are interested in learning how to hem things. In this course you will learn how to hem various garments. Jeans, tailored pants, and skirts will be covered. We will cover basic sewing supplies, measuring for patterns, understanding patterns, basic understanding of your sewing machine from winding bobbins and threading your machine to tension and utility stitches. You will be making a blanket for Project Linus, a charity sewing group, which will be donated to one of Madison's Neonatal Intensive Care Units. Come join in this fun and productive ongoing series of fitting basics which include fitting commercial patterns according to your specific measurements, fitting help with your current sewing projects and fitting help and instructions on the best ways to alter your ready to wear garments. The first rule of Fit Club: Bring something to fit! This hands-on class is focused on the fit and alteration of off-the-rack jackets, pants, and skirts. Quickly and easily learn the techniques for making your existing clothing fit perfectly. 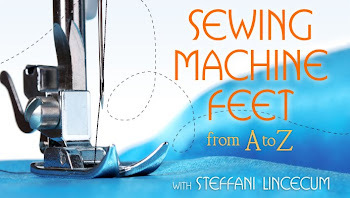 Steffani will share with you the secrets and short cuts for altering your favorite garments. Stitch Lab is for people who understand how to use their sewing machines, and who have a project that they need to carve out some time to finish, or projects that you have run into a roadblock with. This class is for people who understand the basic use of their sewing machine and who are interested in learning how to make a wrap skirt. You will be measuring yourself and making a wrap skirt. This class is for people who understand at least the basic use of their sewing machine and who have an interest in learning how to insert zippers. You will be making a small bag with 2 zippers. This is our monthly casual book club where we will share refreshments, a sewing project and our love for all things crafty. Join us as we stitch and dish on all things sustainable and handmade from the exquisite world of Alabama Chanin and her Alabama Stitch Book & Alabama Studio Style. Bring a show & tell project inspired by the books, or just your interest in sustainable design. My goal is to build a community of like-minded sewing souls. Project: journal cover. This will be a brief introduction and demonstration to the garment copying techniques featured in the book Patternmaking for a Perfect Fit. 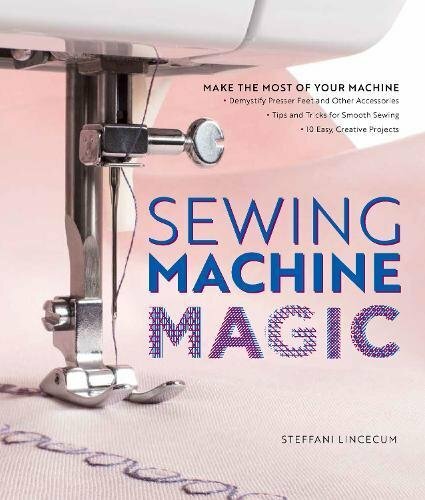 Come see the demo, order your copy of the book and sign up for the Garment copying workshop to be held on November 6th. 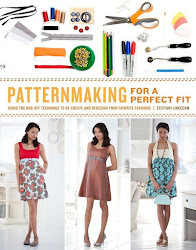 Join Steffani as she shares the "rub-off" technique of pattern making from her book "Patternmaking for a Perfect Fit." The rub-off method of creating a pattern from an existing garment without taking the original apart is a well known insider secret from the world of fashion and entertainment and something your grandmother did just to "make do." I had the great opportunity this past week to travel with Margaret Jankowski of the Sewing Machine Project to Houma and New Orleans, Louisiana. I've known Margaret for several years and met her when I taught sewing classes at Han's on Willie St. in Madison. After Han's closed we stayed in touch and I've always had great interested in her Sewing Machine Project and trips to New Orleans. I lived there when I was in graduate school at Tulane University. So this time when she called to say she was going I had a week that was free and I said I'm all yours. We were going to Houma to work with a contact she'd made from the LSU Extension office named Margaret Berlew. The two Margarets and John Douthat of All Brands came up with the idea to make a sewn product to sell that would benefit the residents of the gulf coast affected by the oil spill. It was an amazing trip. We met with ladies from the local organization Volunteers for Family and Community and they helped to create samples that will be the prototypes for the bags. It was great being in the South and hearing those great accents that remind me of some of my dearest friends, and to get to know those ladies and all about their lives. We swapped some great recipes and even came away with their latest cookbook. I taught them some of the ins and outs of using production patterns as opposed to commercial patterns and they loved the pattern notcher.